Thirty-four women have signed up for and are taking part in the new Empower Programme delivered in GMIT’s innovation hubs in Mayo and Galway since September. Despite national recognition of female entrepreneurs, Ireland has a low number of women engaged in business startups. This EMPOWER programme aims to fast track female-led businesses by addressing specific challenges hindering their development. It is funded by the Department of Justice and Equality and the European Social Fund. ‘Empower Start’ is designed to test innovative ideas for market acceptance. Empower Start is for females with an early stage idea or in business less than one year. ‘Empower Growth’ is focused on women who are already in business for over two years and are now looking to scale and grow by providing support from peers, mentors and role models. 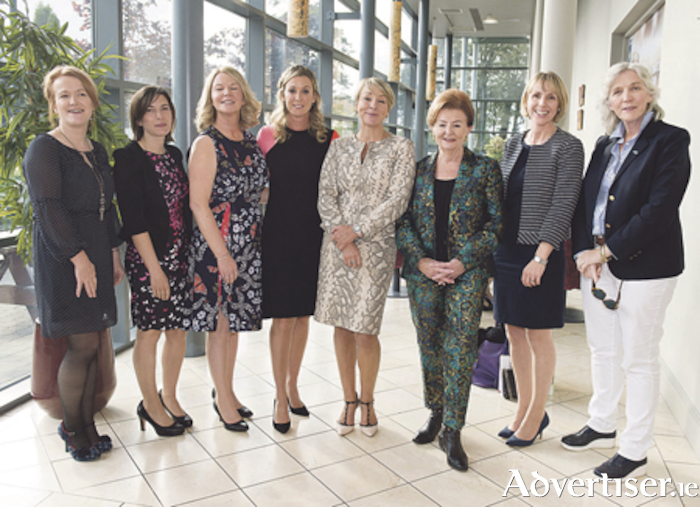 More than 200 people attending the launch of Empower Explore earlier this year (Sept 2017 ), which was addressed by high profile speakers including Breege O Donoghue, former director of Primark and chair of the Design & Craft Council of Ireland, Evelyn O Toole, Complete Laboratory Solutions and Ernst & Young, and Chanelle McCoy, Chanelle Medical and mentor/judge on Dragon’s Den.